A House for Artists is a new, affordable block of 12 apartments in Barking Town Centre, delivered in partnership with the London Borough of Barking and Dagenham’s Be First, with support from the Mayor of London. 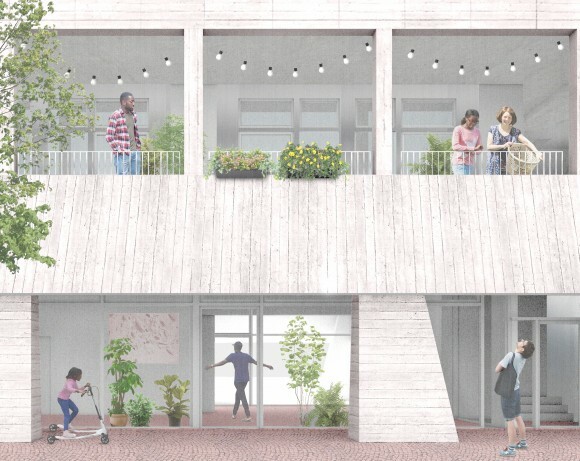 It will house 12 artists and their families, provide studio workspaces, a shared courtyard, and be home to a community hall on the ground floor. 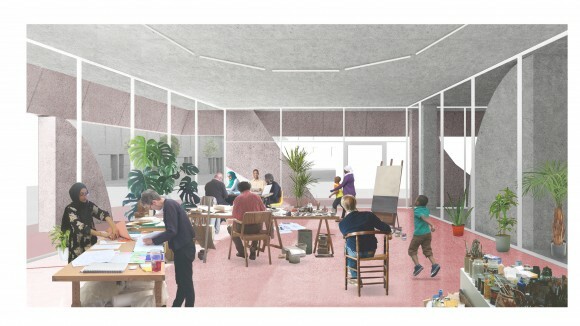 The community hall will be programmed and staffed by the resident artists as part of a new kind of active tenancy designed specifically for the building. Building on A House for Artists begins in Spring 2019 and is planned to be completed in early 2020. We are now looking for the 12 resident artists, and aim to select these artists by April 2019 to begin our year-long programme of research and preparation for the curation of the community hall, which will commence as the artists move in during 2020. A House for Artists aims to help strengthen local arts facilities, embedding long-term platforms for arts engagement and education within the local community. The scheme has been designed by the young London-based architectural studio Apparata (Astrid Smitham and Nicholas Lobo Brennan) and marks our first residential project. Nestled within a diverse residential quarter, and minutes from tube and train links, the apartments are offered to practising artists at 65% of local market rent in perpetuity. The 12 flats will be rented on a long-term basis, with capped annual rent rises, providing secure housing for artists wanting to put down roots. As part of the scheme’s affordable rent tenure agreement, resident artists will contribute to forming the community hall programme, providing a regular programme of arts and education activities with and for local people. It is expected that each resident artist will provide half a working day each week towards the public programme of activity. Apparata’s housing model provides adaptability, robustness, and generous floor to ceiling heights in the tradition of open industrial units rather than the corridor based flat. 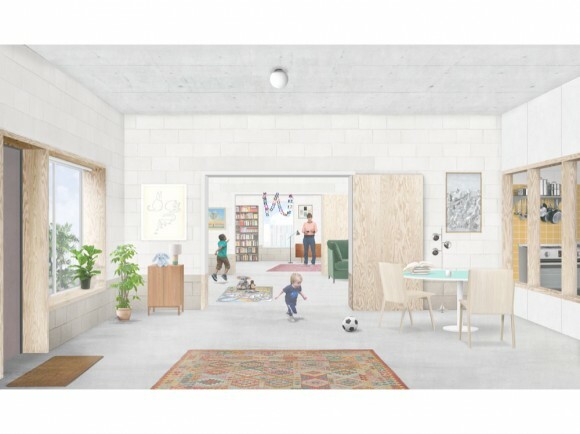 By eliminating the corridor, resident artists can add and move walls to meet their needs and choose to share apartments with their neighbours through double doors in party walls: a flexible and optional form of co-housing. 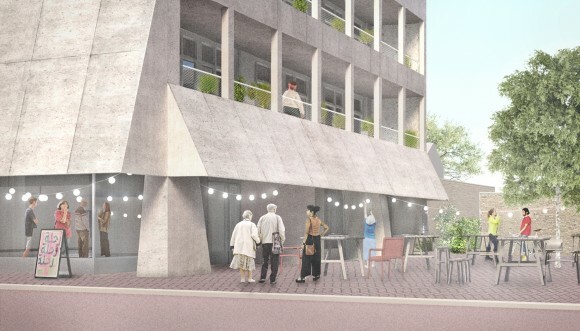 The design of the building aims to support the forming of communities both within the building and with the local area, through shared entrance patios, co-housing, and the public room at the street front. The project is designed to act as a template for other affordable housing schemes tied to delivering public good in the future, replicable not just for artists but also for those working in other industries. A House for Artists introduces the concept of an ‘active’ tenancy which tethers affordability to the tenant’s role in providing hard-hit and vital social infrastructure and space for community. Our hope is that this model of active tenancy can be extended to include joint maintenance agreements between tenants, shared childcare and social care. In this way, A House for Artists could become an important example of a new kind of tenancy through which the intersection of housing, and in this case arts practice, fulfil new kinds of civic roles. 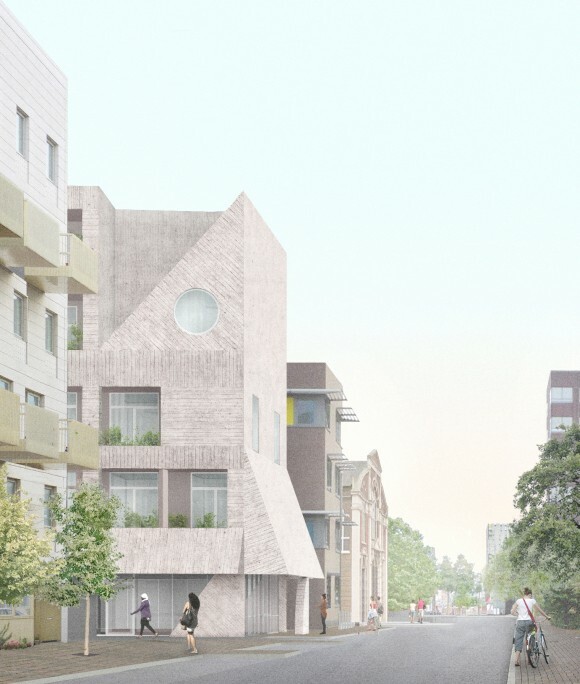 A House for Artists is funded by the London Borough of Barking and Dagenham (LBBD), supported by Be First (working on behalf of LBBD) and the Mayor of London.